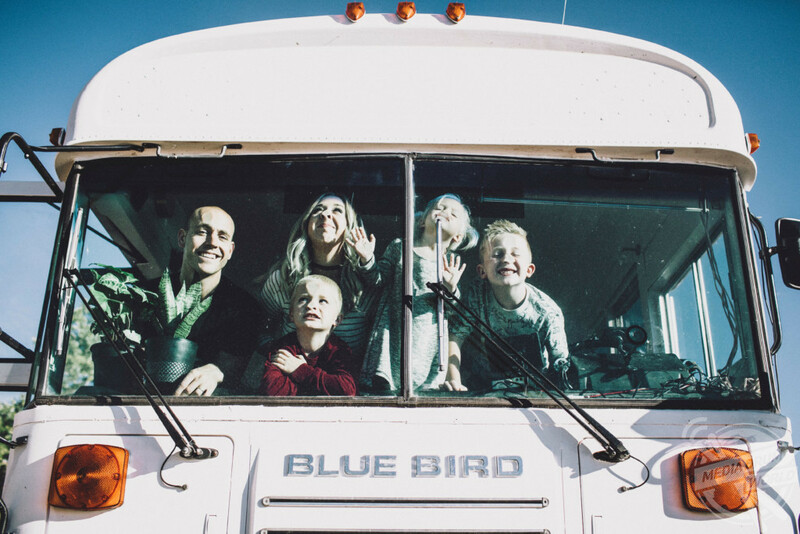 MEET THE FAMILY of five who left behind their cosy lives in New Mexico to travel the country full time in their very own £23K converted school bus, and now say they can’t imagine living life any other way. 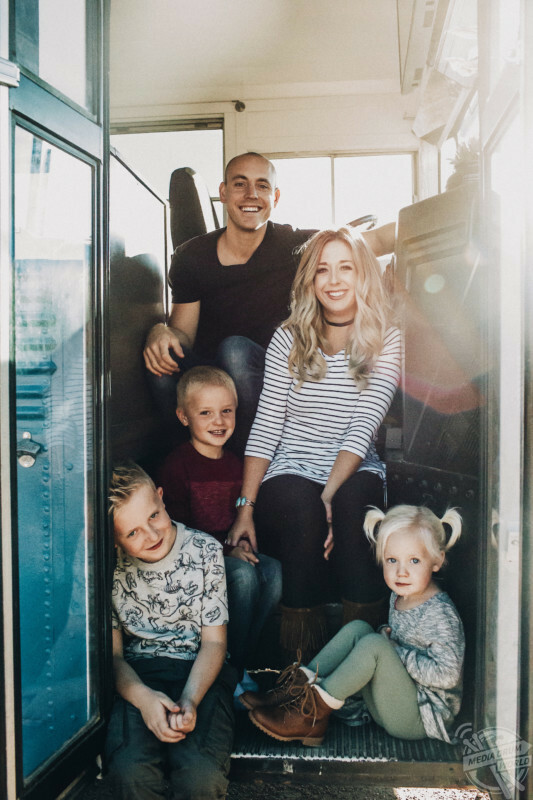 Images show dad Brandon Trebitowski, 32, mum Ashley, 32 and kids Cayden, 9, Jackson, 6, and Rea, 4, living the dream in their very own home-on-wheels. 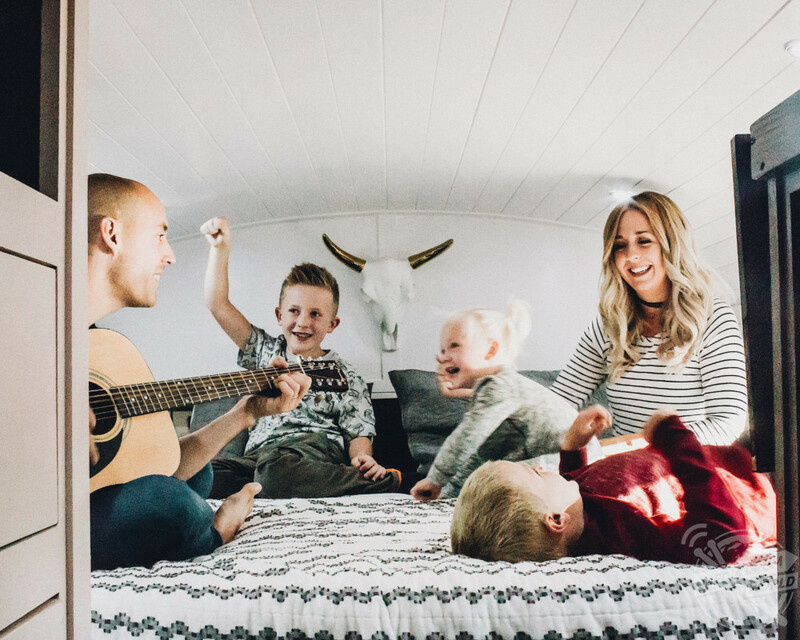 In one picture the family can be seen laughing and smiling on one of the bus’s beds as dad Brandon plays a tune on his guitar, while another shows the hollowed-out shell of the bus before the couple began their renovations. 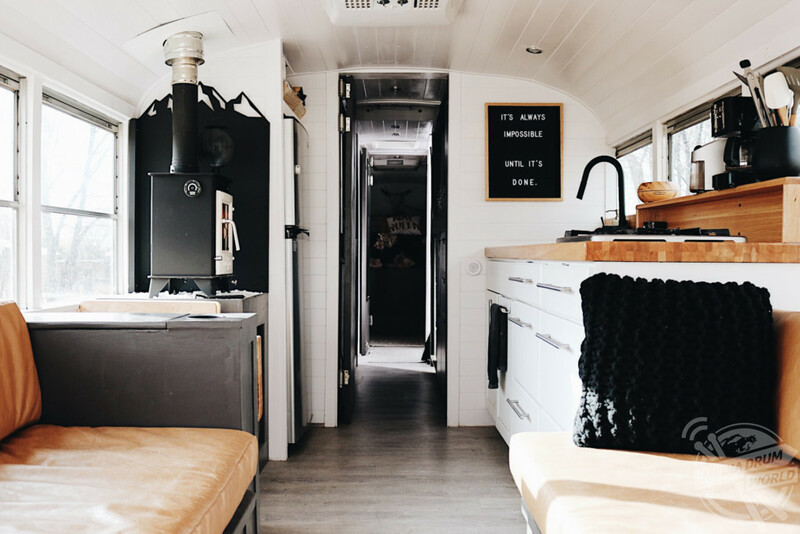 Further shots from the collection show the bus cruising through the Arizonan desert as it makes its way toward the next destination, with another showing off the impressive wood-burning stove that helps supply the home on wheels with heat. 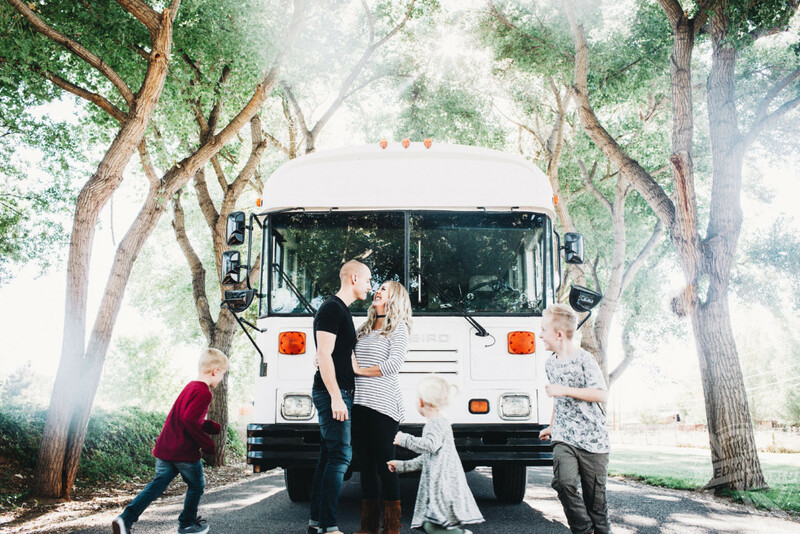 Couple Ashley and Brandon have been travelling the open road with their children for over a year now, opting to teach the little ones along the way instead of putting them into the standard schooling system. And Ashley says that, after trying out the approach, she wouldn’t want her children raised any other way. 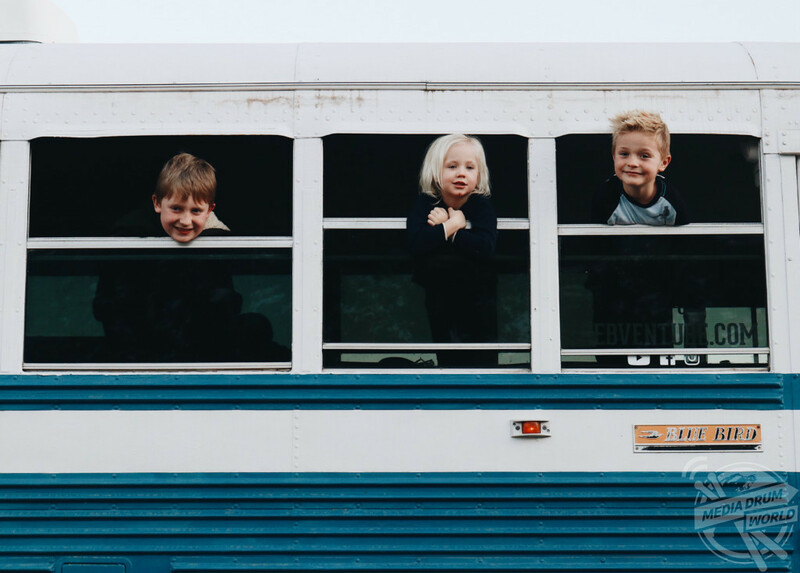 “Do I think homeschooling is right for everyone? No, if you choose not to or you aren’t willing, it’s not right for you. Every family has different priorities, none more important or better than the next. I don’t judge anyone for having different priorities than us. Everyone is different, and we are all doing the best we can to get through life. “But we like to travel, and we love to travel when no one else is traveling. Disneyland in September, and the last week of February is magical and walking onto every ride, churro in each hand is perfection. Hotels, national parks, and RV parks are dead and much cheaper. “I want to be able to park off the coast of Malibu and say we will stay until we feel like leaving. Road trip through California, Oregon, Washington, Canada, and up to Alaska and not answer to anyone. 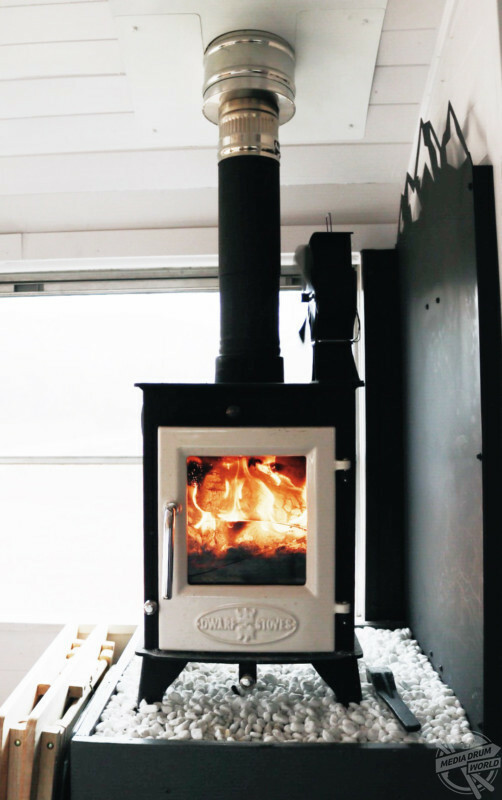 “I don’t blame or judge anyone for not homeschooling but it is the right choice for us. We put Cayden in school for kindergarten after a 10 week try at homeschooling. “In seven months my son had 26 absences not counting holidays. He had 13 late arrivals and I never turned in homework. “‘Reason for tardy?’…ummm we went out for doughnuts. “‘Why was Cayden absent for the week?’ We went to Disneyland with our friends. 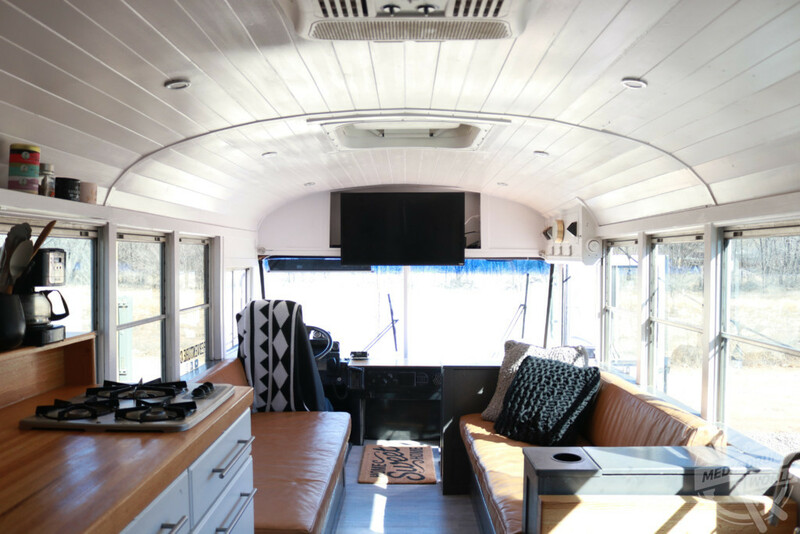 The idea of buying and converting a retired school bus first occurred to Brandon and Ashley in February 2016, when friends who had undertaken a similar conversion were ecstatic with the results and told them about their experience. “It all started with a craigslist ad,” says Brandon. 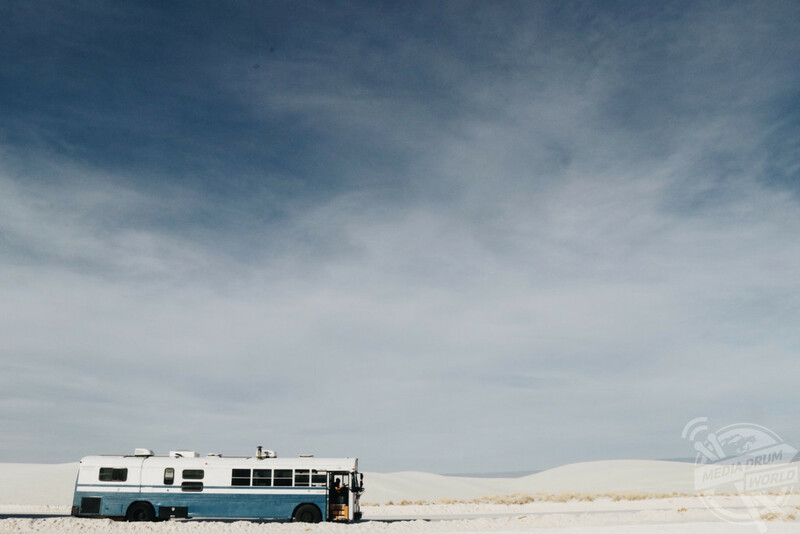 “I woke up late on a Sunday morning intending to skip church like the heathen I am, when my wife Ashley said, “I think I have found our bus”. “Having heard this statement in the past, I brushed it off, grabbed a cup of coffee and sat down to mindlessly check social media. Sensing her urgency, I asked her about the details. 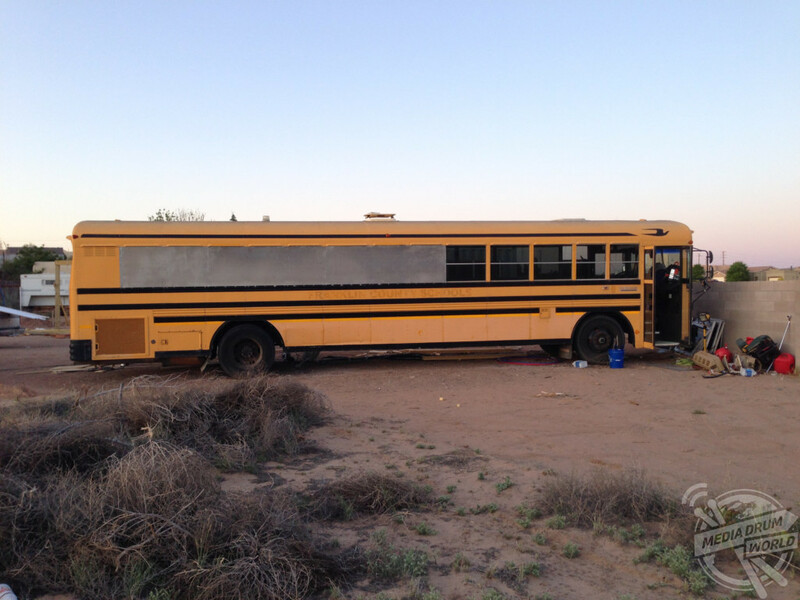 Brandon discovered that the bus being advertised was a retired school and church bus, at a cut-price cost of £3,100. So, he and partner Ashley threw caution to the wind and bought it, beginning renovations a few weeks after picking it up. The list of renovations the family had to undertake was extensive to say the least. 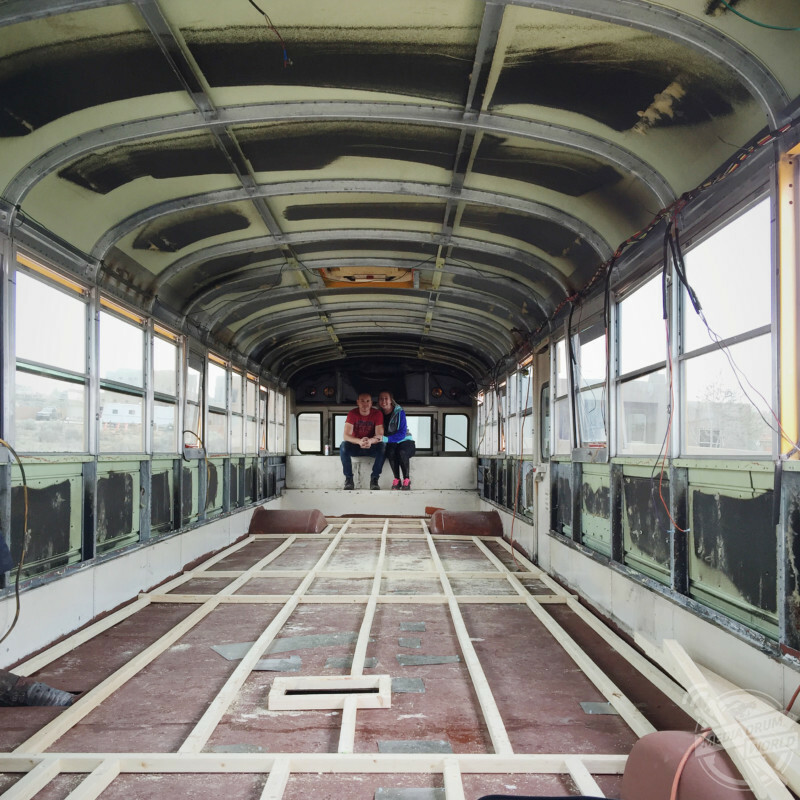 Over the next few months they angle-grinded out the seats, removed the centre walkway, rubber floor, heaters and pipes and unscrewed all lights, speakers and fans, to name just a few. 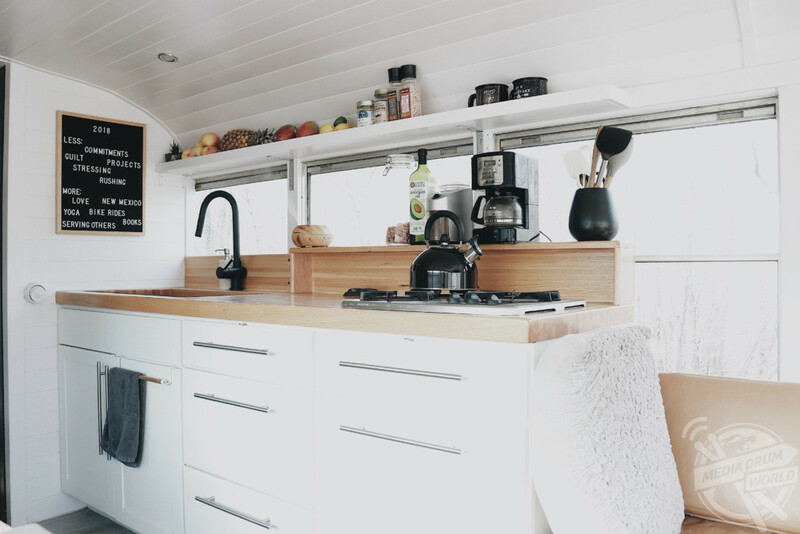 They then spent the next few months renovating the inside of the bus, kitting it out with a fully-functioning kitchen, shower, bedroom, beds and a whole host of other home comforts. 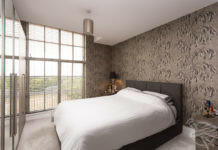 All in all, the conversion cost them a little over £23,000. 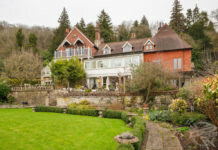 Brandon was successfully running his own business from home by this point and, in September of 2016, the couple felt that the time was right to sell their home and take to the road full time. So that’s exactly what they did. 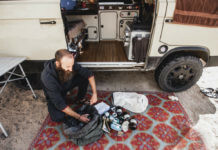 “We first moved into our bus in October 2016,” Brandon says. So how have the couple coped with the added pressures of travelling with three children under the age of 10? “I believe that too many people live for the weekend. I want my kids to work hard and live with purpose, but I don’t want them thinking that a 9-5 is the only option. I want them to see things, experience nature, feel God and connect with his people. “Don’t get me wrong math, reading, writing etc are important but I want them to come naturally. Not because there is a test they need to score high on, so their over worked teacher can keep his or her job but because they love reading Harry Potter, want to learn more about the Bible, or they enjoy learning fractions through baking cookies. I want them to love to learn and desire knowledge because it’s fun. “We try to complete school 4 days a week. Sometimes its 3 days because the botanical gardens just opened a Bugatorium and we love bugs (when I say “we” I mean them). Sometimes we cuddle, read books, build forts and pretend it’s the Treb Movie Theatre so we can stream Sponge Bob Squarepants and eat Halloween candy. “Too often school is a place for teaching obedience rather than a love for learning. Sit down, stop talking, no running, hold still, and pay attention. These things are the priority. Sometimes we as parents need to stop trying to please the other adults and do what we feel is right for our kids. So, what next for this family of adventurers? “Our plans for the future are to stay minimal,” says Ashley. “Live simple and travel. 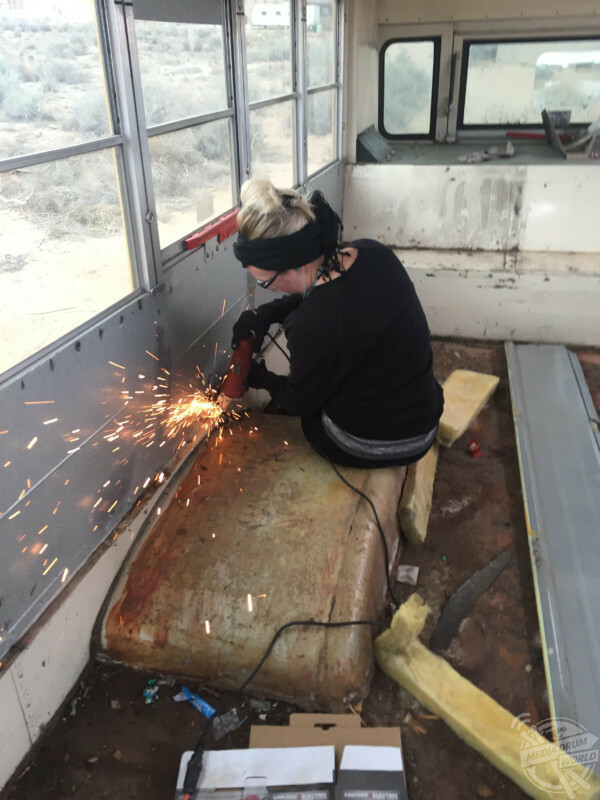 We don’t plan to stay on the bus forever, but we love the bus life right now. We don’t really like to make plans because we never tend to stick to them. 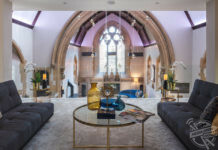 Previous articleWith An Indoor Pool, Stunning Coastal Views, Marble Floors And Its Own Gym, How Can You Say No To This Luxury Somerset Property?